Bye, bye winter! Bring on the warm weather and sunny days. As the spring sun shines through your office windows, the horrid amounts of winter dust and dirt become magnified on your work desk. Cobwebs that you didn’t even know existed become ugly eyesores. You glance down at the carpeted surfaces; only to find salt and calcium composite stains spread throughout the floors…(Well, it was just only two weeks ago that you had to sprinkle your office park driveway to avoid icy slips and falls.) Ice melt still lingers throughout the floor corners. Flu and winter cold germs stay afloat on every single surface in your work. Christmas retail flyers and junk mail remain piled sky high in your office. It gets to a point where you can’t shake off the winter blues. 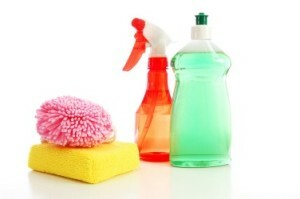 With no time in your work schedule to handle the cleaning, what do you do? 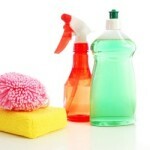 Call a professional commercial cleaning service to perform a thorough cleaning of your facility. Dusting, carpet cleaning, VCT floor care, vacuuming, restroom cleaning, window cleaning, disinfecting, trash removal, and much more! A janitorial company will not only provide with you with exceptional cleaning care, but they will brighten and shine your business’ facility to welcome the new spring season.